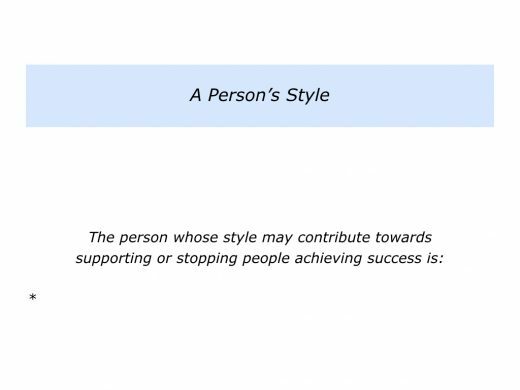 A person may have good intentions, for example, but their style may cause difficulties for themselves or other people. This can lead to a decision being made that the person is not a good fit for an organisation. 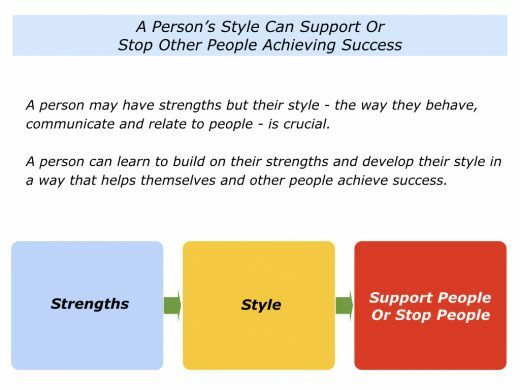 A person can learn to build on their strengths, however and develop their style to help others to achieve success. This can often both benefit themselves and other people. Looking at your life, can you think of a person who behaves in a way that creates difficulties for other people? The person may have strengths but their style sometimes causes problems. Looking at the person, are there any ways in which they support other people? On the flip side, how did they behave in ways that stop people achieving success? If you wish, try tackling the exercise on this theme. This invites you to write the name of a person who demonstrates such characteristics. It then invites you to do the following things. 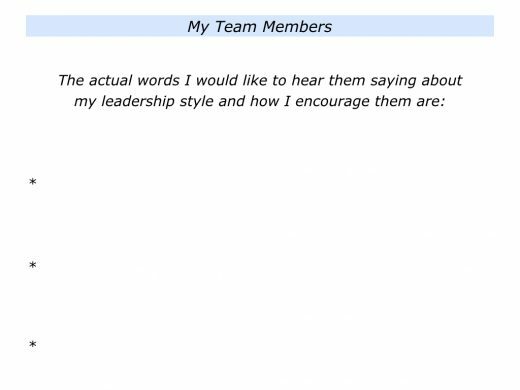 Describe the specific things the person does that may contribute towards helping people to achieve success. 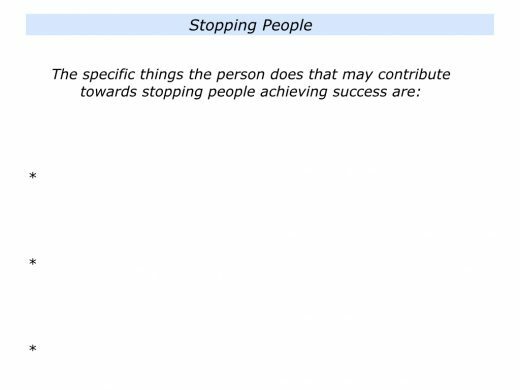 Describe the specific things the person does that may contribute towards stopping people achieving success. To help both themselves and other people to achieve success. As mentioned above, however, the person must be motivated to take these steps. There are then many ways to help them to achieve their goals. Let’s explore how this can work in practise. Several years ago a company asked me to work with Tom, a potential peak performer. I agreed, but on the condition that it would be important to make clear contracts with him. He must want to tackle the particular challenge and work towards achieving an agreed picture of success. Let’s return to the person whose style you described earlier. 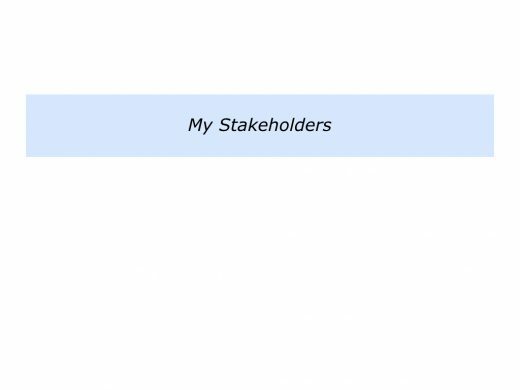 Imagine that they have asked for your help in developing ways they can support people rather than stop people. How can you help them to take this step? When do they encourage people? What do they do right then? How can they follow these principles to encourage people in the future? What are the situations in which they stop people? What can they do differently in such situations? How can they remain quiet or support people instead? What would be the benefits for themselves and other people? 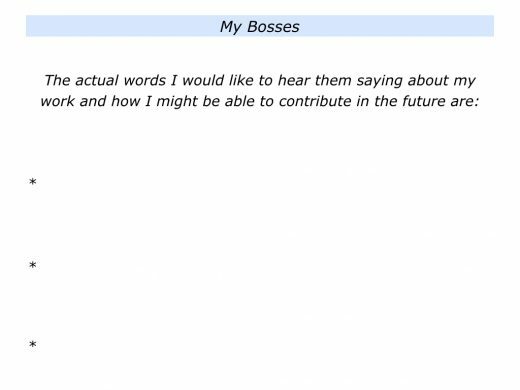 Describe the specific things the person can do to continue to contribute towards helping people to achieve success. Describe the specific things the person can do to support rather than stop people achieving success.